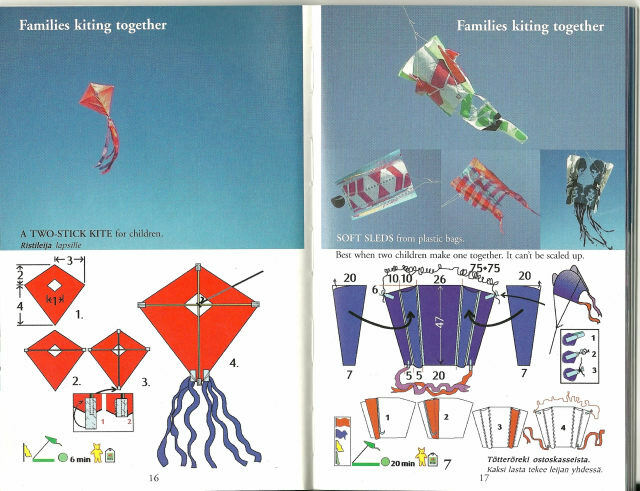 Better Kites is a kind of basic kite book - on all continents. cases the number of sticks to use are less or non. plastic in many models and straw as sticks. This way the kites are cheap. However the flying line might cost a lot. You can order it from mabon@dlc.fi. It costs 20 euros and postalfees. The two most common kites. 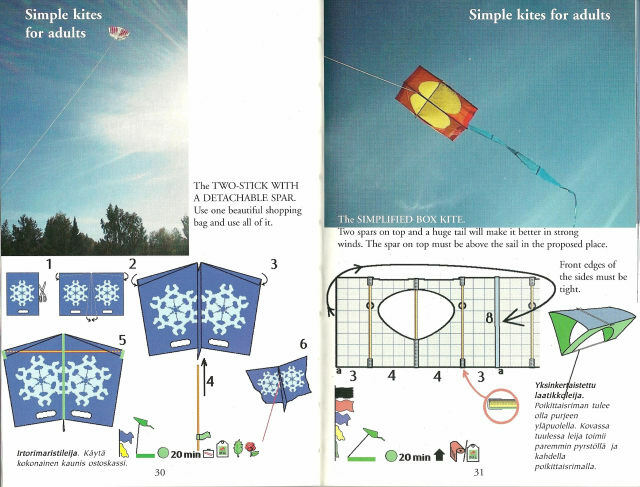 There is a photo, an instructive drawing and a list of icons telling how it flies, how to transpor the kite and how long it takes to make. There is also the name and a short description in English and Finnish. 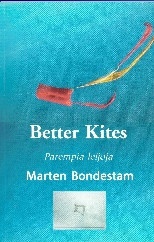 The kite to the left is from a shopping bag and flies well in little wind. three men had to hold the line. get the kite up in the air. 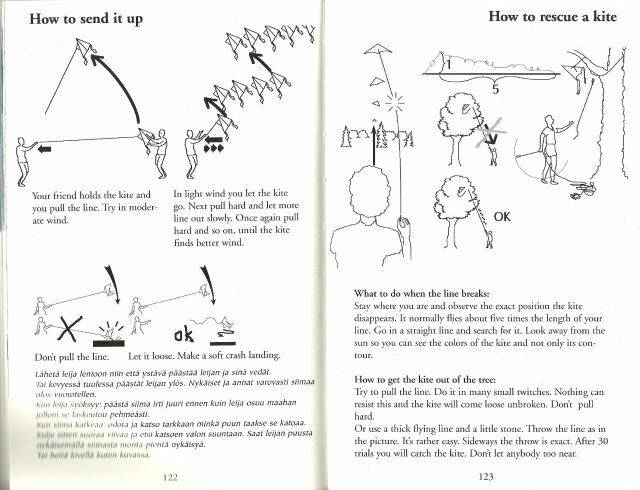 Also the important rule: When the kite crashes - let the line loose and the kite will land softly.